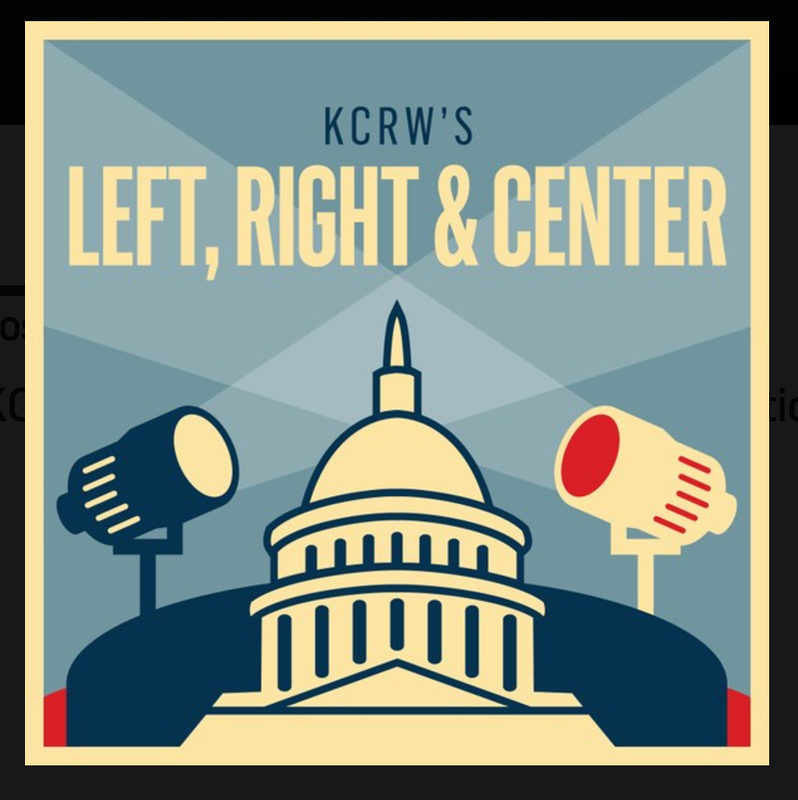 Podcasts: KCRW's Left, Right & Center! A balanced, intelligent look at the news and issues of the day. A new episode drops every week; they run a bit under an hour. They used to run just under thirty minutes and did so for years, but with the era of Trump, they expanded to an hour. The iTunes page has the most recent hundred episodes, so that goes all the way back to 2016, probably far enough back for a news show. Still, check out the show’s official page if you’re into KCRW’s basically hideous web interface; the NPR page is actually a lot easier to handle. The show bills itself as a “civilized yet provocative antidote” to traditional opinion journalism and that’s actually pretty well right on the money. Josh Barro is the host and self-proclaimed center; Katrina vanden Heuvel from The Nation is on the left; Rich Lowry of National Review is on the right. There’s usually a couple of guests brought in for various segments. The three main players here have real chemistry which is important in a show like this. Everyone is intelligent, no one gets angry and everyone seems sincere; you see why this show is so groundbreaking. It’s refreshing that vanden Heuvel is a genuine progressive, not just a Democrat, and that Lowry is a consistent conservative, not just a Republican. Lowry has clashed with Trump repeatedly on a lot of issues and vanden Heuvel has been advocating Medicare for All for years. The conversations they have feel like exactly that, not like a series of prepared talking points. This is a political show that I think all stripes should listen to; you’re sure to have moments of getting annoyed at the person on the other side of the issue from you, but it also humanizes the other side, at least the intelligent, articulate side. Lowry gets a lot wrong, from my perspective, but he gets some things right and he’s proof, and we need it these days, that not all “conservatives” are knuckle-draggers or disingenuous. Occasionally, you’ll have something of a relapse into the more stereotypical political opinion show but not that often. I don’t think I missed an episode last year and I heard only one exchange where a discussion got obviously heated and only two or three times that I felt like someone was being disingenuous/using a strawman. That’s pretty ******* tremendous by the standards of the day. I like the weekly format of the show as well; that means they don’t cover everything or go as in-depth as I sometimes wish they would, but it means that it’s one of the only political shows I can faithfully keep up with (Democracy Now is the best political show out there, but those hour-long daily shows just stack up on you). Left, Right & Center really lives up to its name; it’s always been a good show, but the Trump era has made it a great one – we’ve never needed that civilized antidote as much. You actually aren’t afraid of hearing an opposing opinion. It’s a news show. Get the latest one.